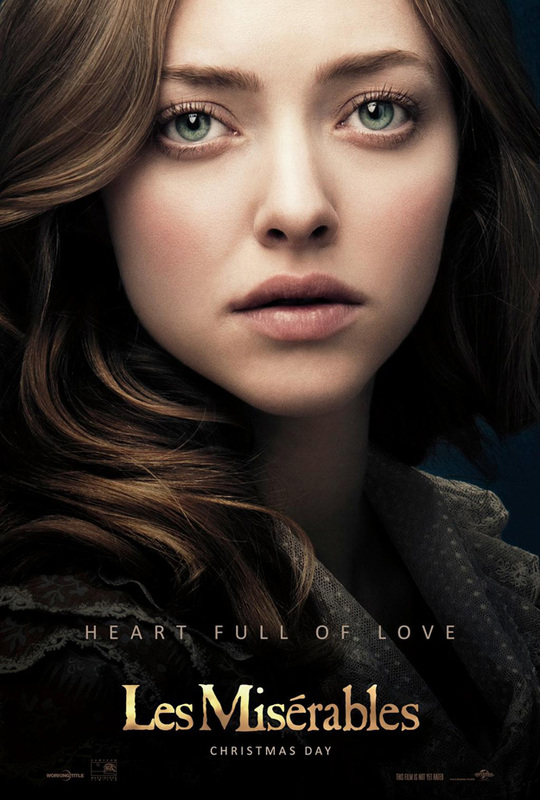 The studio has been releasing Les Miserables posters featuring a single character all week. 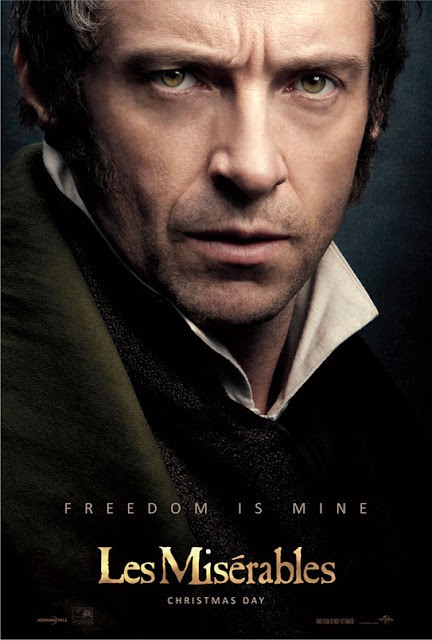 First up was Hugh Jackman as Valjean, yesterday it was Russell Crowe as Javert. 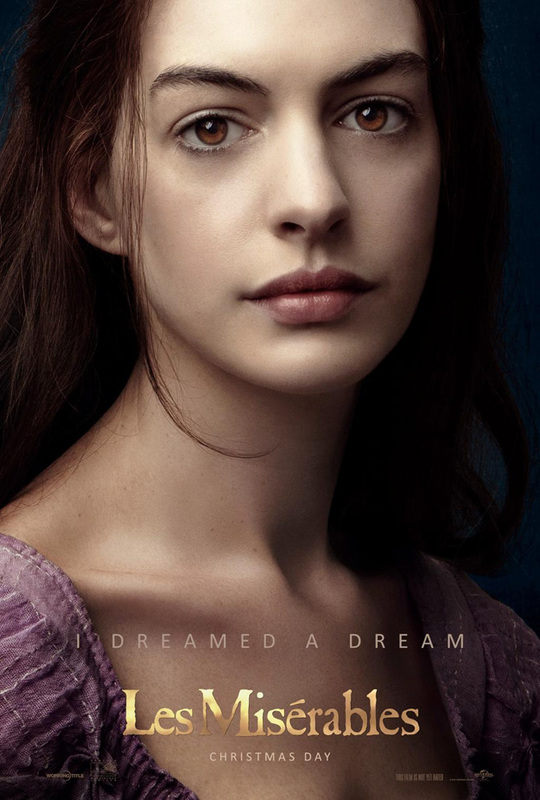 Today we have Anne Hathaway as Fantine which I posted earlier, and Amanda Seyfried as Cosette. And they are all amazing! More than posters, each one looks like a portrait, the characters just as though they posed for a master artist. And take a look at the eyes in all four posters. There's something about the eyes,(is it the clear whites of the eyes?) emphasized here by the artist, they're probably all wildly retouched but if so I can't argue it's not to great effect. I hope the women's' make up in the film is as subtle as it's shown here as well. So far, judging from the clips and trailer I've seen, I'm betting the movie is as fantastic as my expectations. If I can't see it Christmas Day (after supper?) then I know I'll see it Boxing Day (the day after Christmas). How 'bout you? Are you dreaming a dream yet? I'm going to be really conflicted about seeing this movie. I think I'm the only sentient being who has never seen the musical nor read the book. And now the movie. Hmmm, the movie. Your making me very tempted. 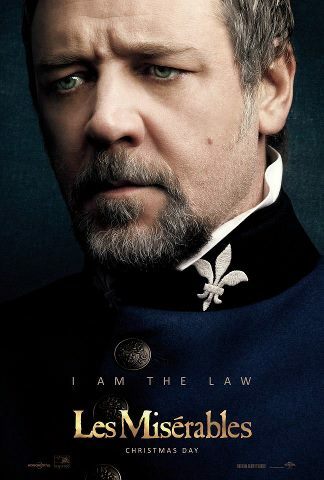 Although as an Australian I do like to avoid Russell Crowe's oeuvre. But then my French obsession is very strong. Too strong perhaps. I know though that the first film I'll be seeing after Christmas will be The Hobbit (not particularly my own choice, but the boys in the house).